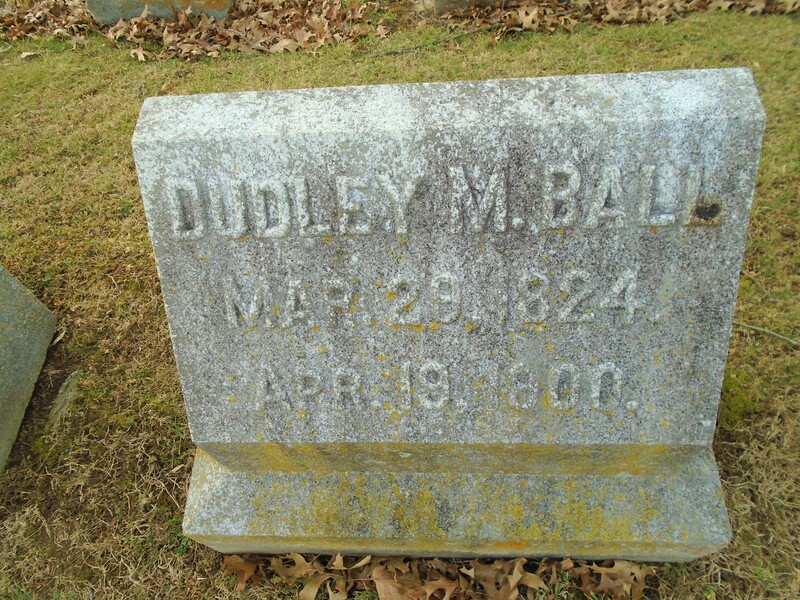 Dudley M. Ball, Versailles Cemetery, Woodford County, Kentucky. 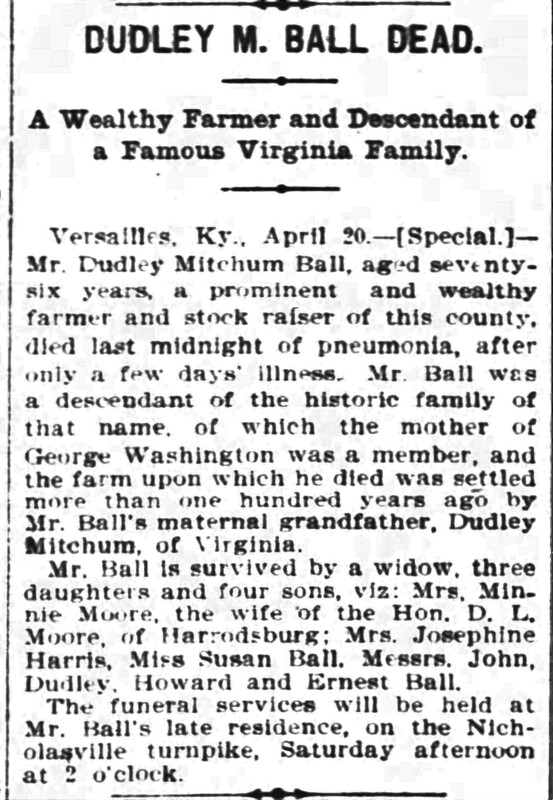 Versailles, Ky., April 20 – Mr. Dudley Mitchum Ball, aged seventy-six years, a prominent and wealthy farmer and stock raiser of this county, died last midnight of pneumonia, after only a few days’ illness. 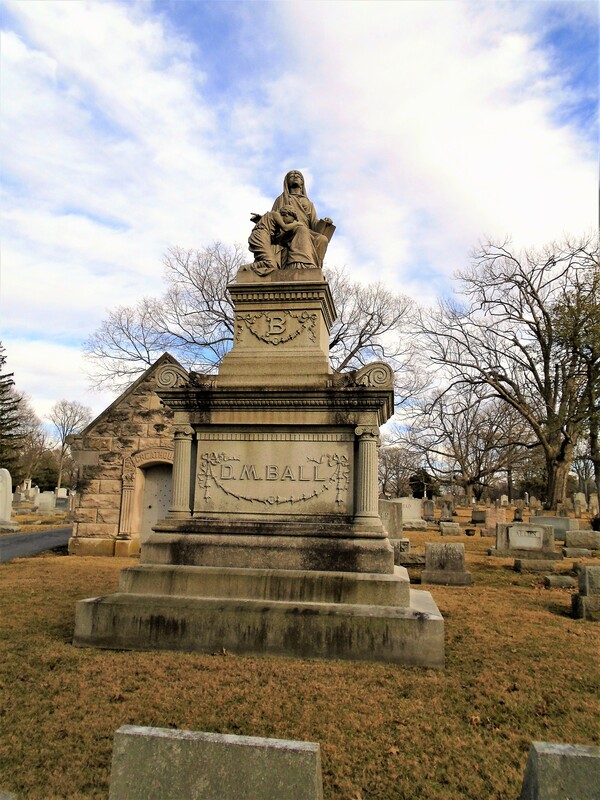 Mr. Ball was a descendant of the historic family of that name, of which the mother of George Washington was a member, and the farm upon which he died was settled more than one hundred years ago by Mr. Ball’s maternal grandfather, Dudley Mitchum, of Virginia. Mr. Ball is survived by a widow, three daughters and four sons, viz: Mrs. Minnie Moore, the wife of the Hon. D. L. Moore, of Harrodsburg; Mrs. Josephine Harris, Miss Susan Ball, Messrs. John, Dudley, Howard and Ernest Ball. The funeral services will be held at Mr. Ball’s late residence, on the Nicholasville turnpike, Saturday afternoon at 2 o’clock. 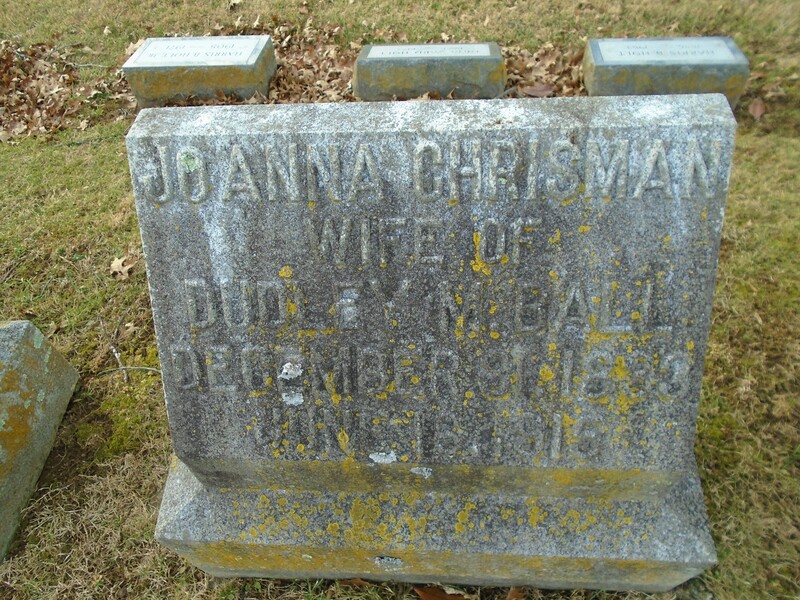 Joanna Chrisman, wife of Dudley M. Ball, December 8, 1833 – June 18, 1915. 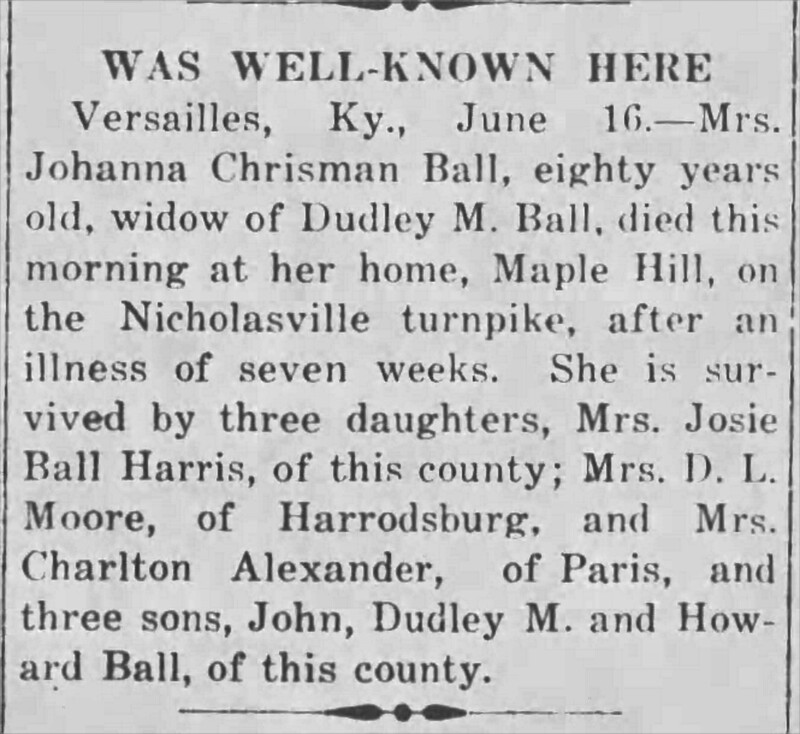 Versailles, Ky., June 16 – Mrs. Johanna Chrisman Ball, eighty years old, widow of Dudley M. Ball, died this morning at her home, Maple Hill, on the Nicholasville turnpike, after an illness of seven weeks. She is survived by three daughters, Mrs. Josie Ball Harris, of this county; Mrs. D. L. Moore, of Harrodsburg, and Mrs. Charlton Alexander, of Paris, and three sons, John, Dudley M. and Howard Ball, of this county.